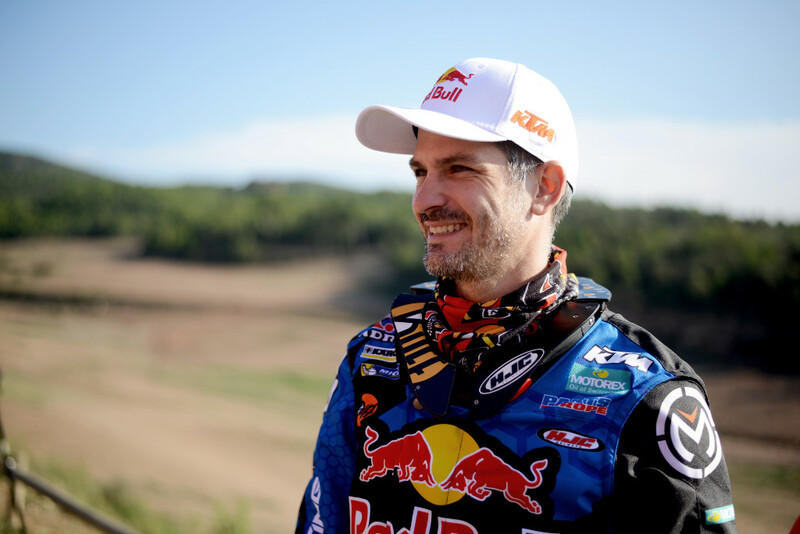 The notorious Dakar Rally is renowned for being one of the toughest races in the world, but with most of the talk being about the trials and tribulations of the riders, it’s easy to forget the difficult task that their mechanics face. With equally as little sleep, and a long distance to travel in the support vehicles over 15 days, it’s certainly a team affair to succeed in the rally. The KTM BLOG talked to the ultra-experienced Roland Bruckner, Jordi Viladoms’ mechanic, whom has been involved in rally racing since 1999, and knows just what it takes to be a Dakar Rally mechanic. “You need to be patient to do this. You have to like it. There’s not much opportunity to sleep, waking up at 3am or 4am every day, and not going to bed before midnight. 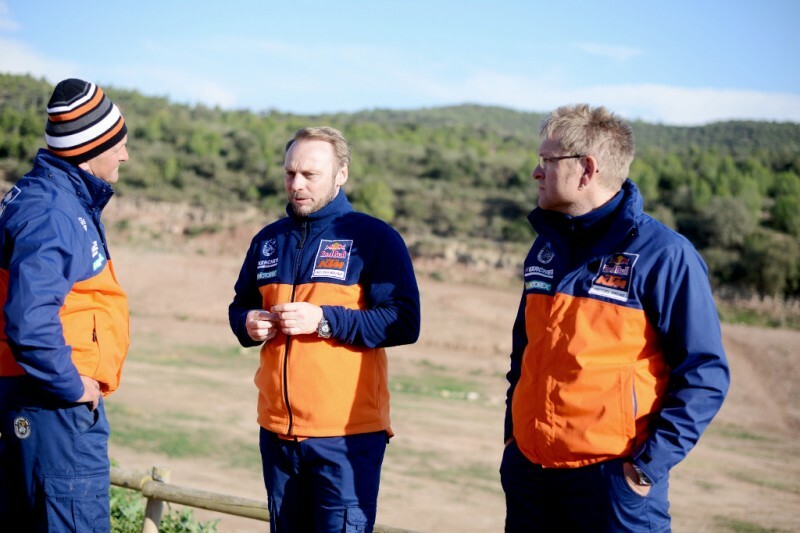 If you like the work it isn’t such a problem and it’s important to have a good team,” Roland Bruckner said in his opening statement at the recent rally test held in Spain. It’s clear to see he loves his work and being part of the KTM team. 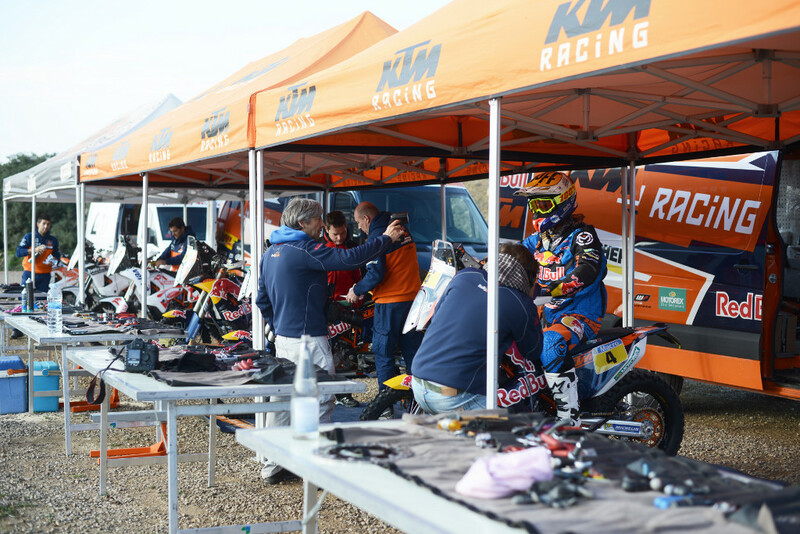 After the Spanish test, which is annually held in November, the bikes are usually cleaned and have one final check before leaving for the race. The team has the task of going over every final detail and loading the trucks to go to Le Havre, where they are loaded onto a boat and shipped to South America. It’s a busy time, with one and a half weeks after the test to ensure everything is totally ready; there’s an awful lot to remember. “Obviously it’s not an easy task to ensure we have absolutely everything that may be needed for the race, and perhaps when you first begin the task you need lists. But now we have a lot of experience and it’s almost automatic to prepare for the race. The list is in my head,” continued Roland Bruckner. 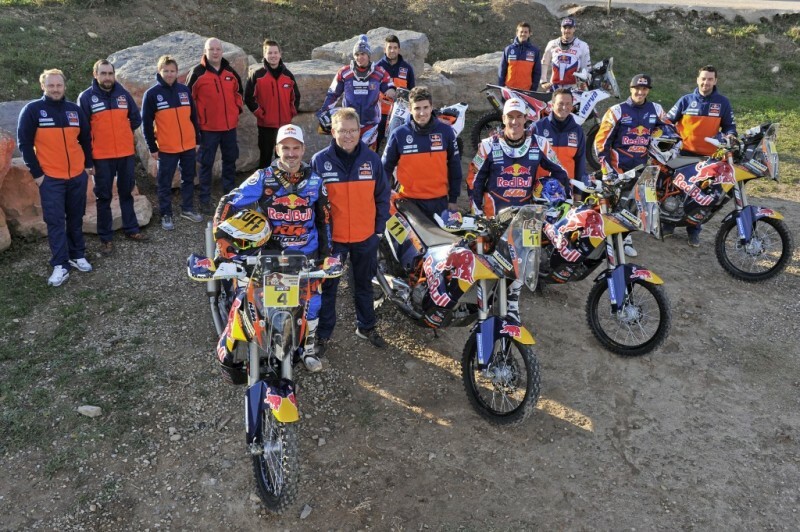 There’s a long build-up to the race, and the team does all of the World Cross-Country Rallies Championship with their riders during the year. In 2015 Roland Bruckner will be doing his 15th Dakar event, and while team bosses Alex Doringer and Stefan Huber look after the strategy for the Dakar, Roland Bruckner explains that even though he’s done it for years, the final few days before the race are incredibly tense on arrival in South America. During the race in the morning the mechanics get up with the riders, which can be very early, and check the bike one final time before the riders leave. Then they pack everything down, get onto the liaison, sometimes driving the whole day, before reaching the next bivouac where they set-up the tents again. Once the riders return they work on the bike until late in the night for the following day. It’s a team effort as the mechanics help each other if one of the riders has crashed or there’s more work to be done on a different rider’s bike. There’s also specialist mechanics in the team for electronics and welding, which offer extra support. A mechanic’s job isn’t just about fixing the bike, but also supporting the rider from a mental point of view, so it’s a really intense few weeks. 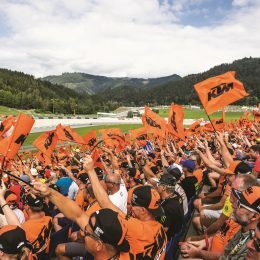 Roland started with KTM in 2003, and has since seen the race and the team evolve into the fully focused outfit that it is today. He learned his trade on the job, and his first racing job was in rally. 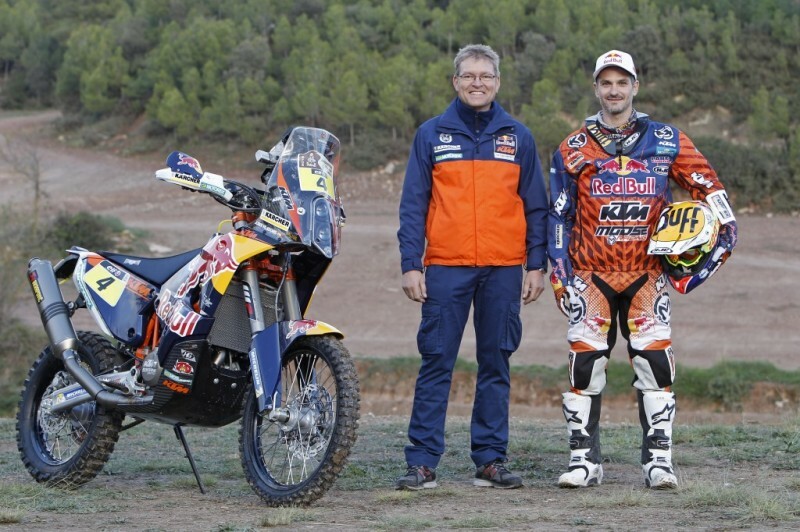 KTM has invested in a complete programme for rally racing while developing a top-class bike, and despite 13 consecutive wins at the race, it’s taken many years to reach this point. The race itself has changed a lot too, after it moved from Africa to South America on safety grounds in 2009. Talking about the highs and lows of being a Dakar mechanic Roland Bruckner explains what keeps them motivated, and how sometimes they help each other to keep the morale high. Of course it’s easier when the rider is doing well, but as everyone knows, anything can happen in this race. 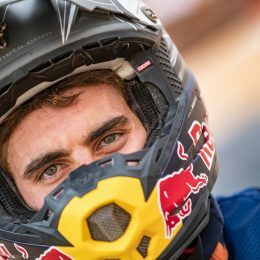 In South America it’s hot and the mechanics have to sleep in a tent, in what is a pretty primitive set-up to say the least, but Roland Bruckner has learned to deal with the highs and lows of the race, and enjoys the family within the Red Bull KTM Rally Factory Racing Team. In some years a mechanic would travel over 11,000 kilometres, and although it’s generally less now, it’s still incredibly grueling. Roland Bruckner said it takes at least two weeks to recover from the race and the jet lag, and also to feel comfortable waking up without the noise of the generator. So really, it’s no mean feat for the riders or the mechanics supporting them! 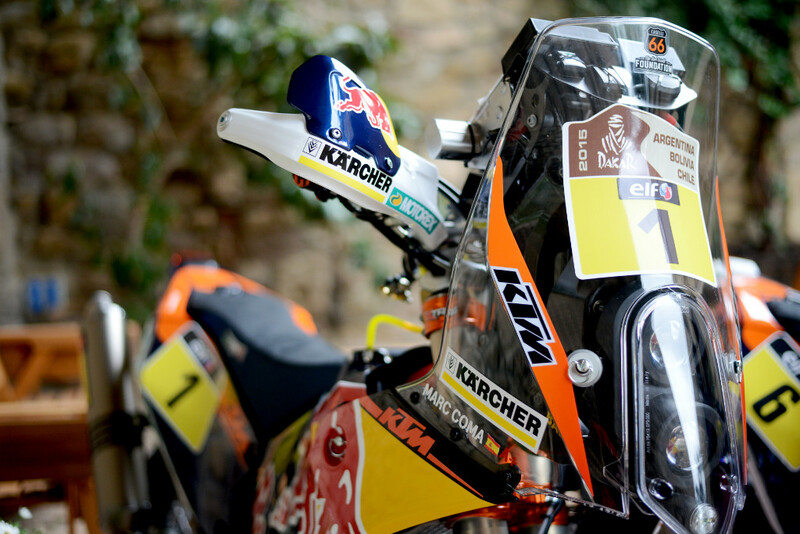 The Dakar Rally 2015 starts in Buenos Aires, Argentina on January 4th. BEST of continuing luck during 2015! Applies to ALL KTM competition teams no matter their arena of expertise. I would be interested to know if the KTM RALLY TEAM shall be employing your NEW 450cc Engine as found in the 2015 450 SX-F Factory, Rally intended use modified, or Standard SX-F powerplant. Wager competitors would wish to know TOO! Enjoy this forthcoming Holiday and approaching NEW YEAR to ALL at Mattighofen! When I see the amazing picture with Roland Bruckner and Jordi Viladoms it comes to me that it would be strange to see a man of Jordi’s age instead of Roland (and viceversa probably as well !). You need Roland’s experience to meet the job in an effective way. Well, in my country, Spain, all the experience that more than 48-50 years old people hold (in good physical condition and with the same enthusiasm as Roland) is neglected just because of their age choosing younger inexperienced workers instead ,especially at the head of the teams. I think that the companies that start working with these “oldies” will have a competitive advantage. i just bought a used ktm 450 xc-g….i havent raced in over 15 years !! or ridden a dirt bike. 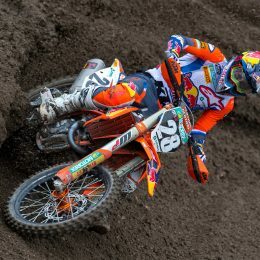 i cant help the fact that…I JUST LOVE MY KTM !! i raced dkw in the desert a was very fast, but this ktm takes my breath away. Im 52 years old and want to race again. im as fast as ever, maybe faster ! Would ktm want to sponser a old guy like me?